Examples of Work | DeBergerac Productions, Inc.
French’s Foods, a division of Reckitt Benckeiser, wanted to create a documentary on their history as one of America’s most trusted names for mustard. One way they achieved this was through their advertising (“You Are My Sunshine” is still considered one of the Top 25 most successful commercials ever). Sadly, after more than a year of searching, French’s foods could only locate ONE surviving commercial in film format. To make things more interesting, this film was printed on Eastman Safety Stock, which had lost most of it’s color and had be come quite brittle from age. It was clear that unless the color could be fully restored to the product’s original trade dress standard, their legal department would not allow the spot to be used in the project. The film was transferred on a Phillips Spirit Telecine to 1080p preserving the film’s original aspect ratio and then converted to an Apple ProRes QuickTime file. Now digital, the file was color-corrected, had scratched removed, and grain reduced. The result was not only did we save the only known French’s film commercial from being lost, the quality of the spot (which is almost 40 years old) was so good, a renewed search is being conducted by French’s to try to find more of their commercials. 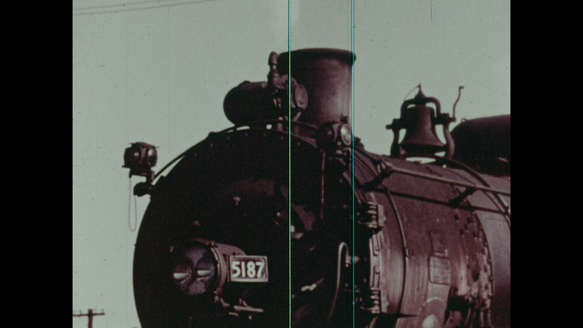 “The Vanishing American,” a film from the 1950s was rescued from being discarded as scrap, chronicles the last run of Engine 5187, a steam powered locomotive which ran from Rochester, NY to East Salamanca, NY. The views of the engine as well as the towns it passed through have all disappeared, except for what was preserved in this film shot by the Hawkeye Camera Club. Printed on magenta-turned print stock, we transferred the print on a Phillips Spirit at 1080p, preserving the film’s 4:3 aspect ratio, and then converted to an Apple ProRes QuickTime file. We were able to restore much of the color and remove, or diminish several deep scratches on this film. Created in 1968, “Multiplier” by the University of Rochester was unusual for us in that their were *many* copies of this film for us to work with. After inspecting each copy, we picked several that had the least amount of damage, transferred them to 1080p and got to work assembling the best presentation we could. 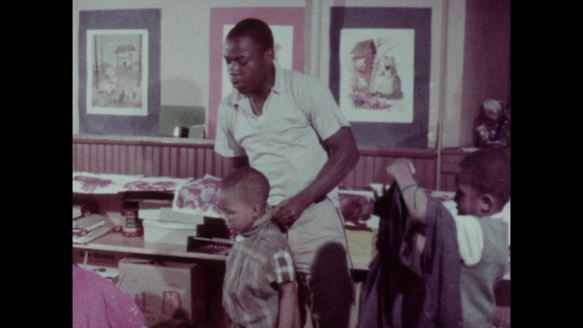 After color correction, scratch removal and some grain reduction, we were able to deliver to the University of Rochester a powerful recruiting film who’s message is still relevant today.